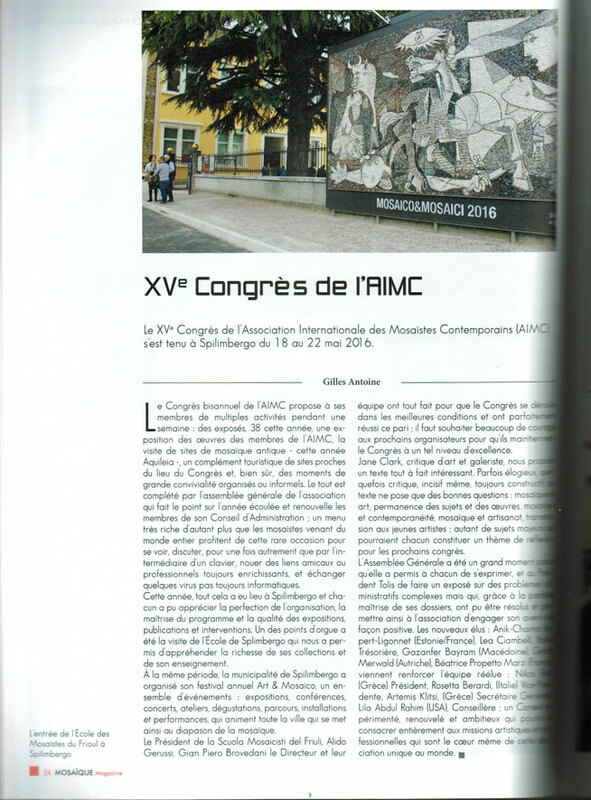 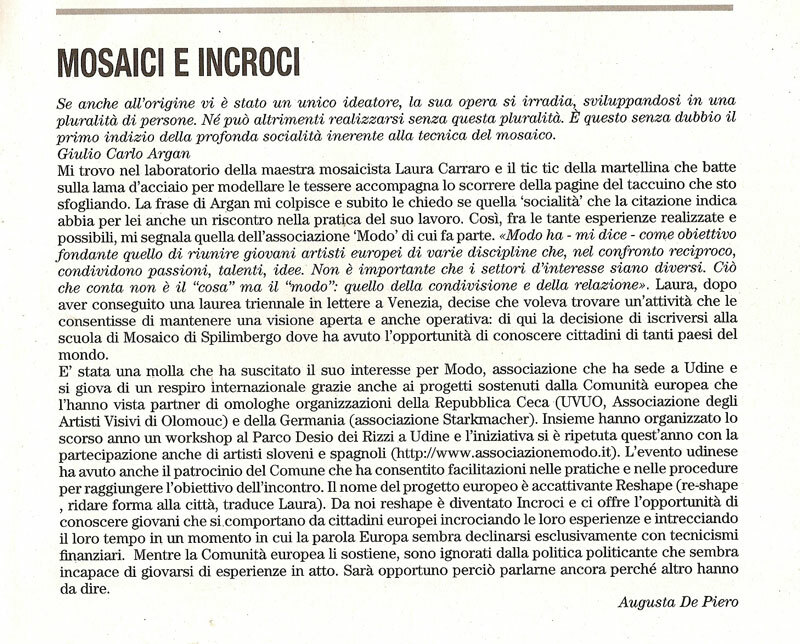 Immage of our performance “Mosaic is not always forever” in Spilimbergo, during AIMC (International Association of Contemporary Mosaicists) congress. 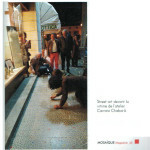 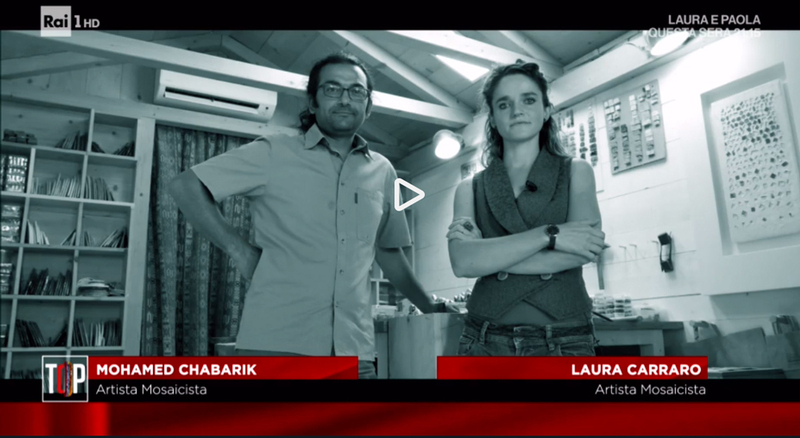 Laura Carraro and Mohamed Chabarik among the portrayed artists. 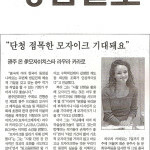 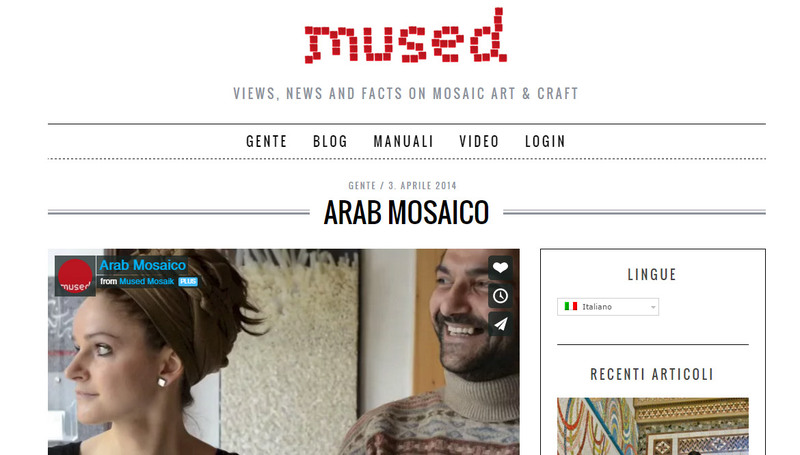 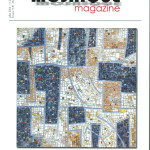 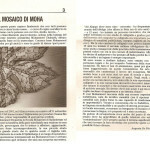 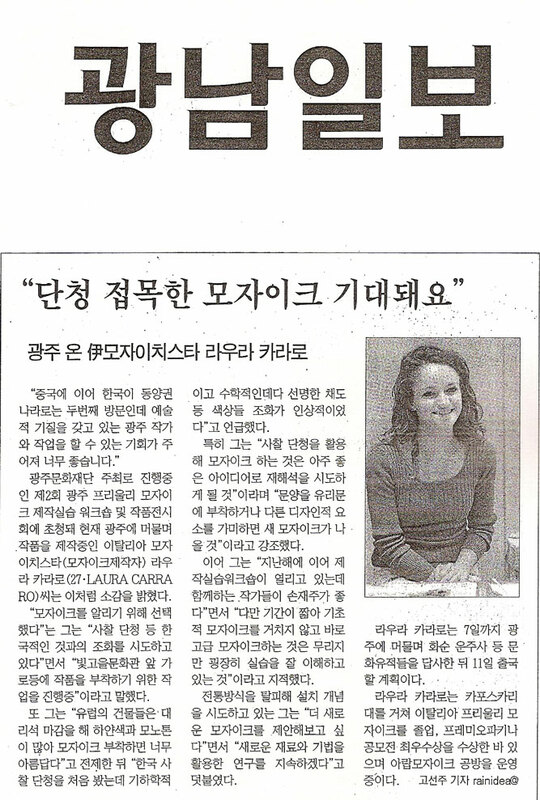 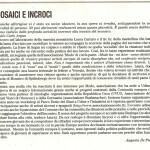 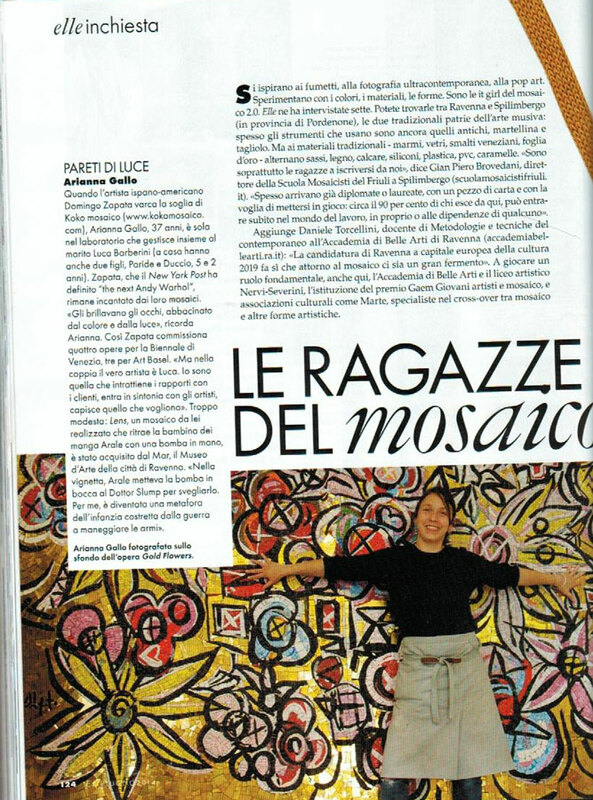 Interview to Laura Carraro for “Mosaic girls”, a piece by Francesca Frediani. 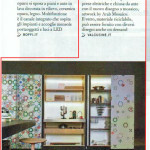 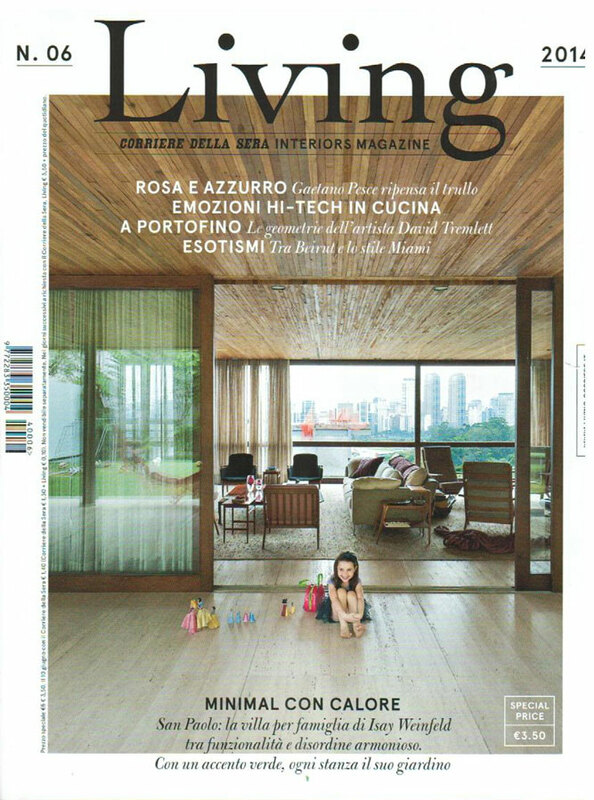 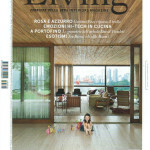 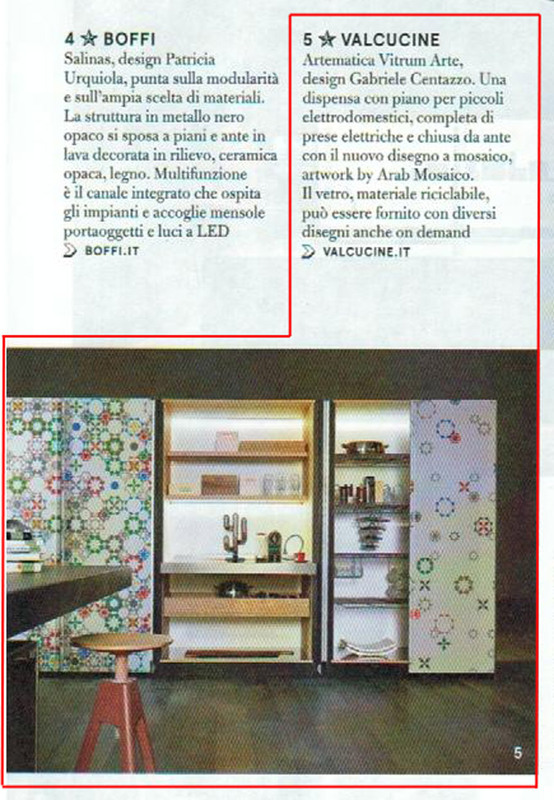 About Artematica Vitrum Arte Valcucine, artwork by Arab Mosaico. 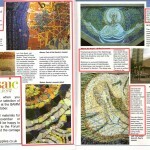 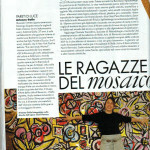 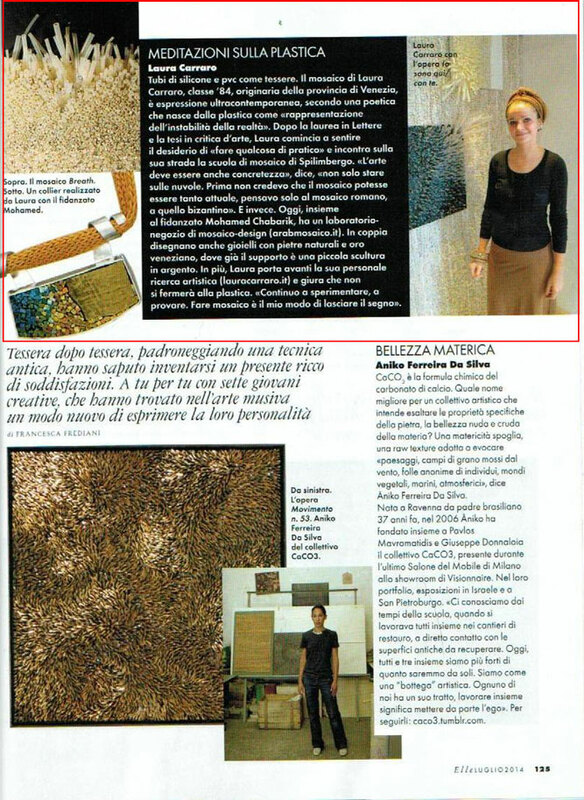 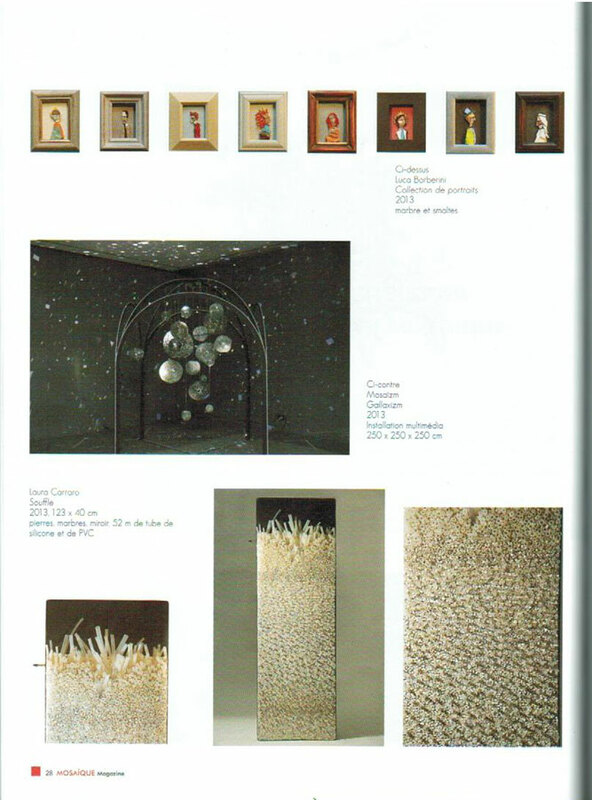 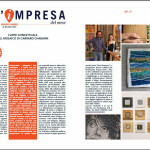 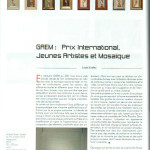 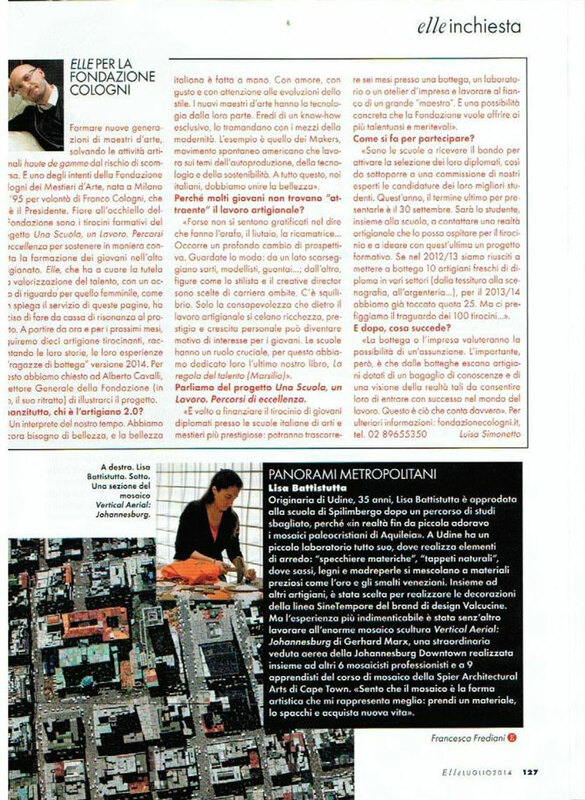 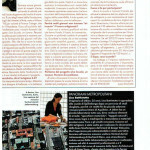 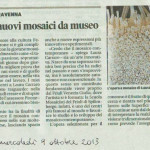 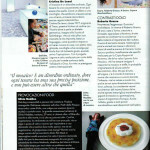 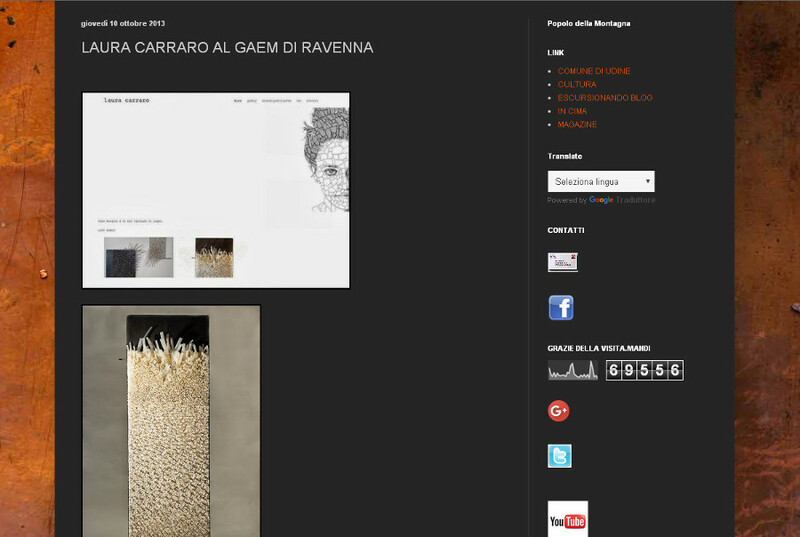 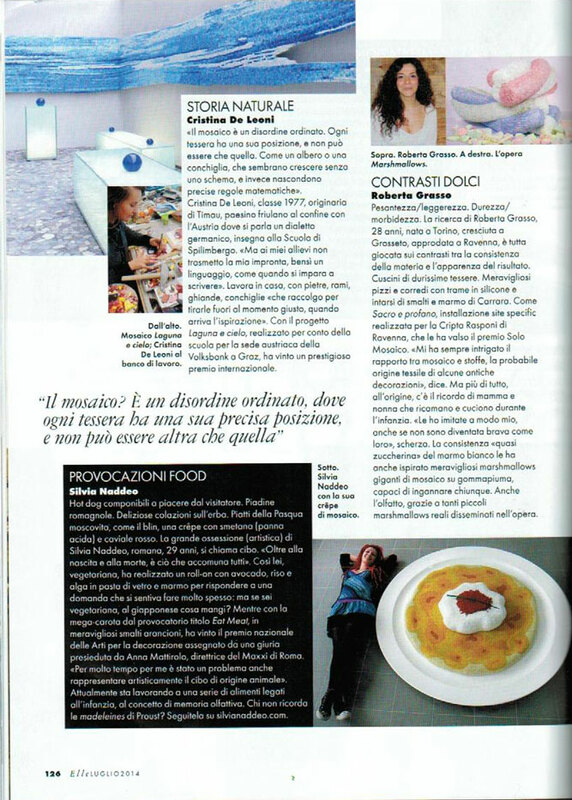 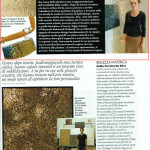 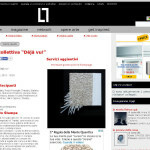 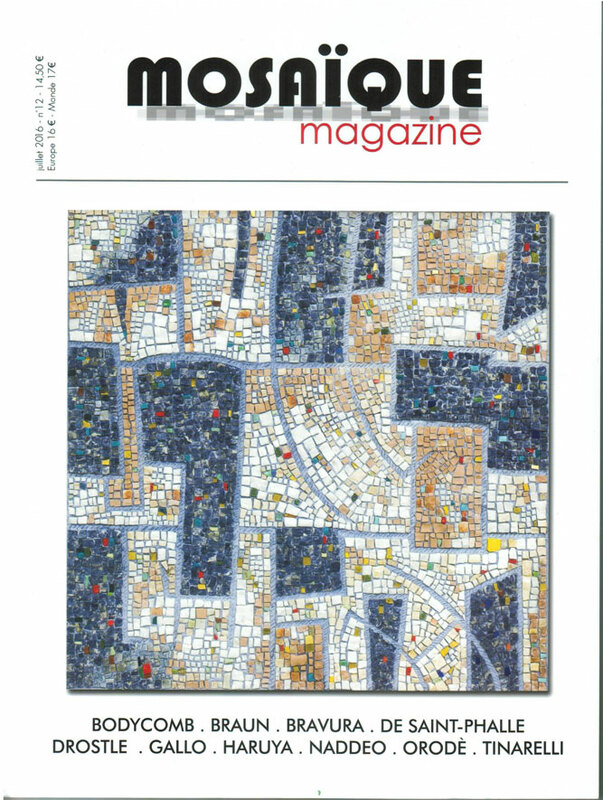 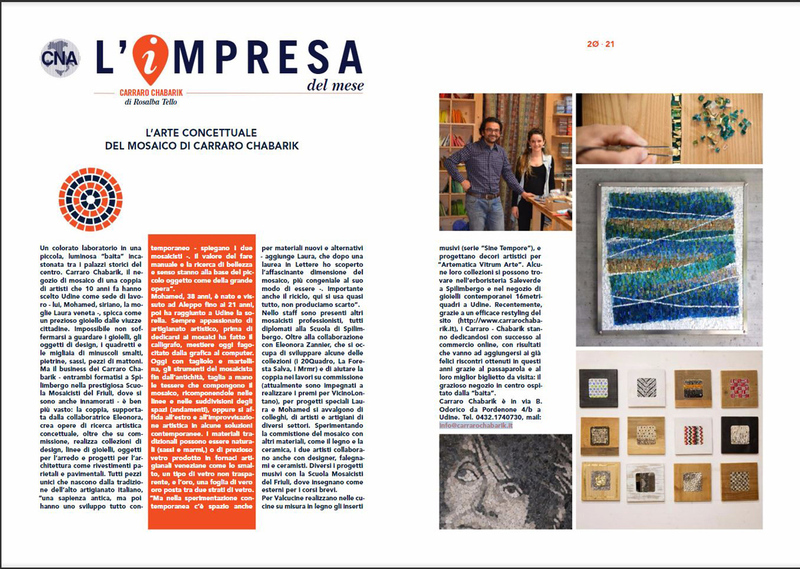 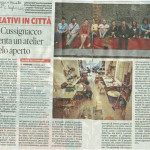 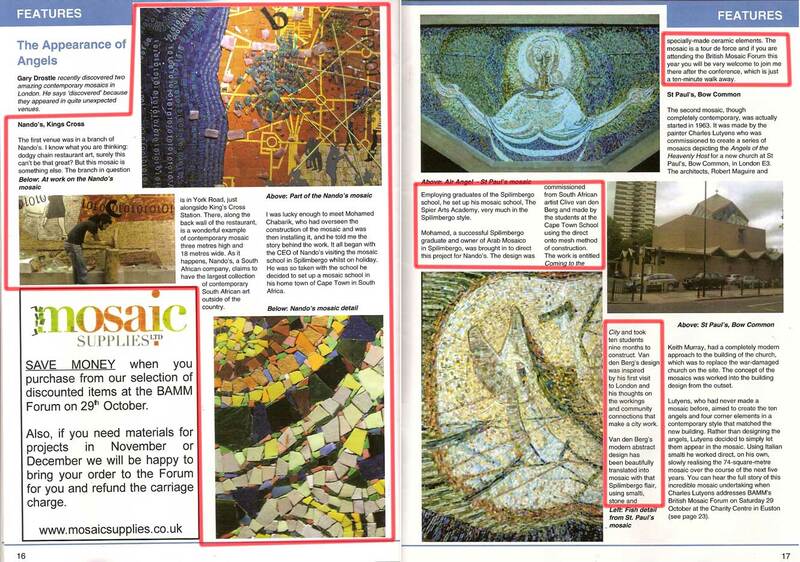 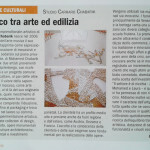 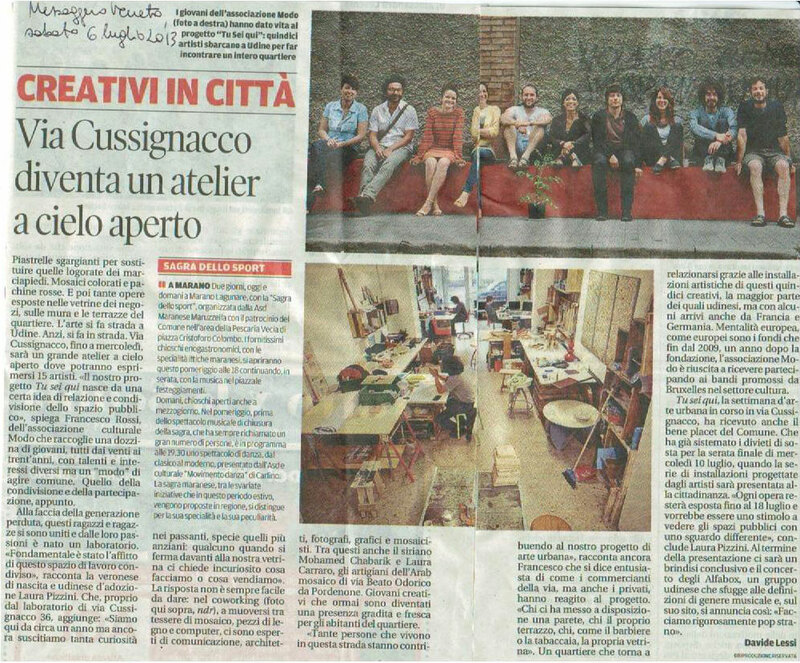 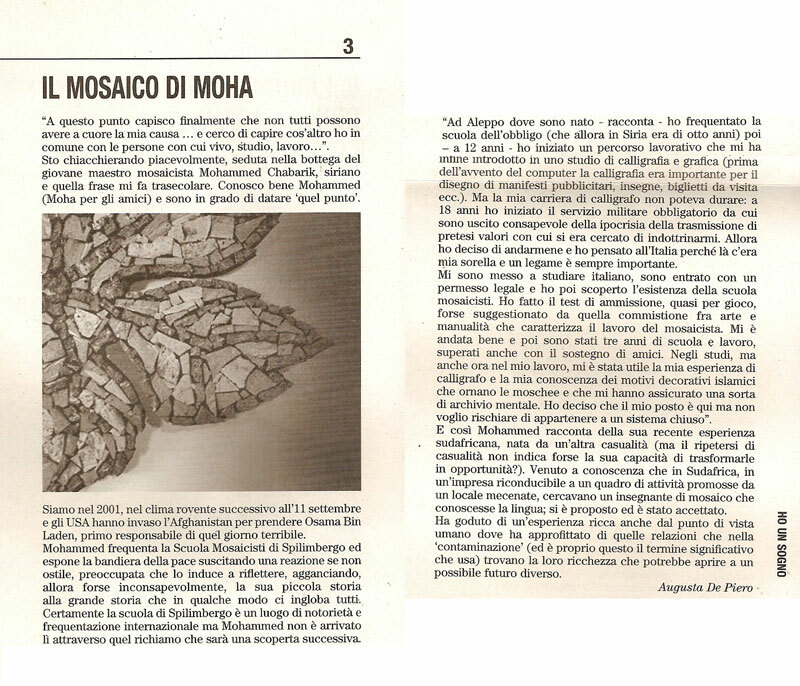 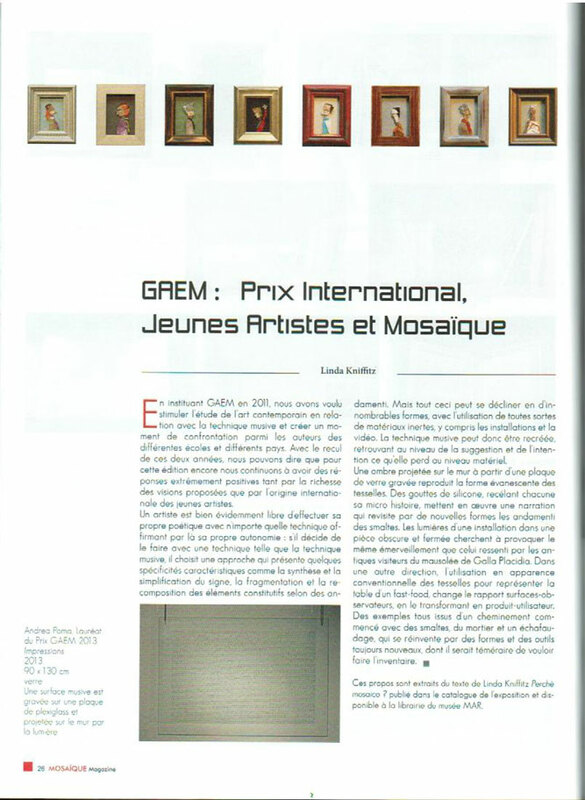 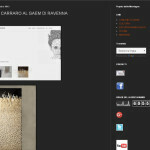 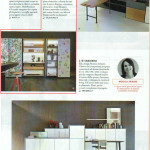 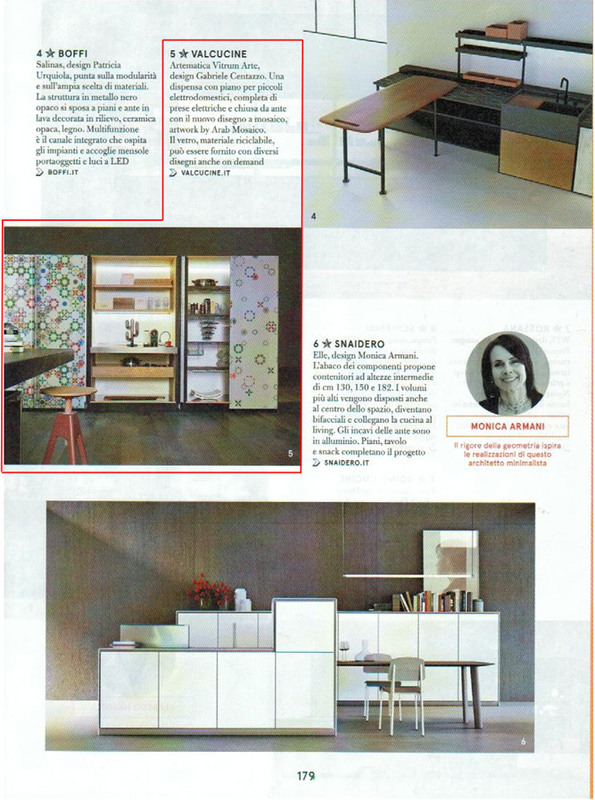 Laura Carraro at GAEM, Ravenna in the article about Ravenna Mosaico 2013. 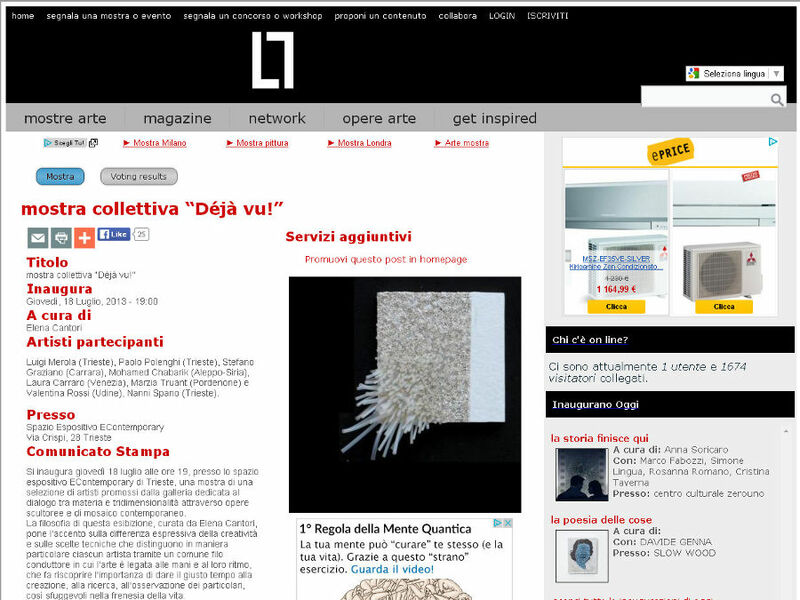 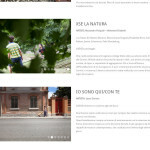 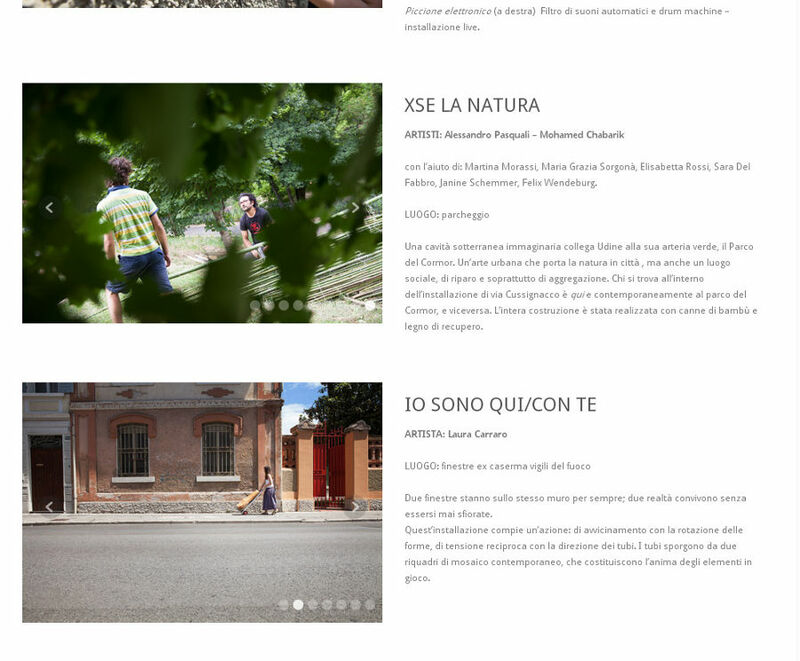 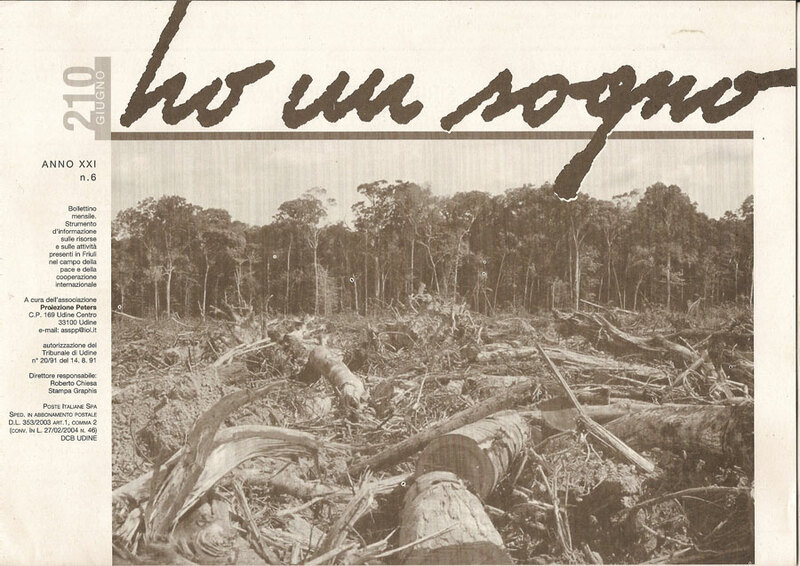 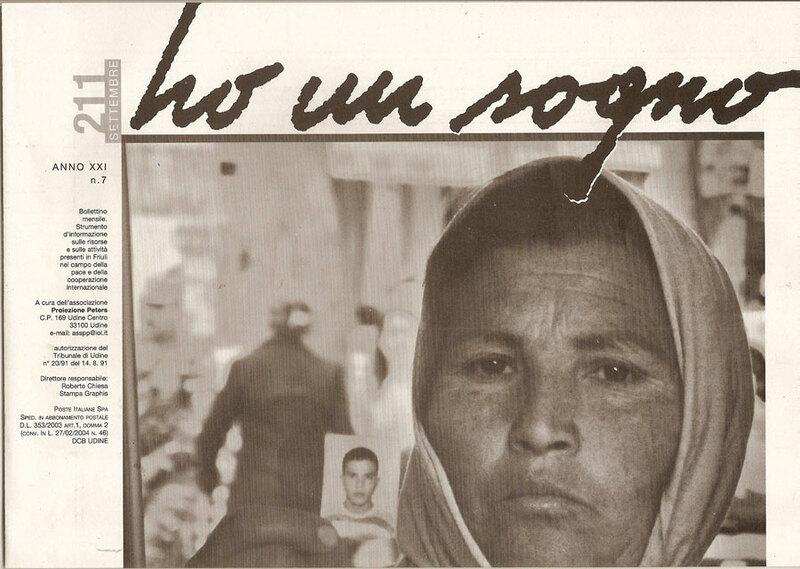 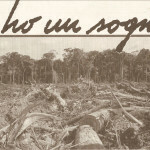 WEB: ASSOCIAZIONE MODO, participation at the art workshop “Tu sei qui” (you are here)– video. 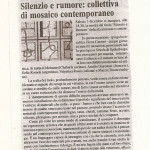 About the art workshop “Tu sei qui” (You are here) organized by Modo cultural association in Udine (via Cussignacco street). 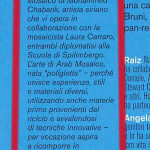 Laura Carraro and Mohamed Chabarik participated. 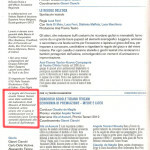 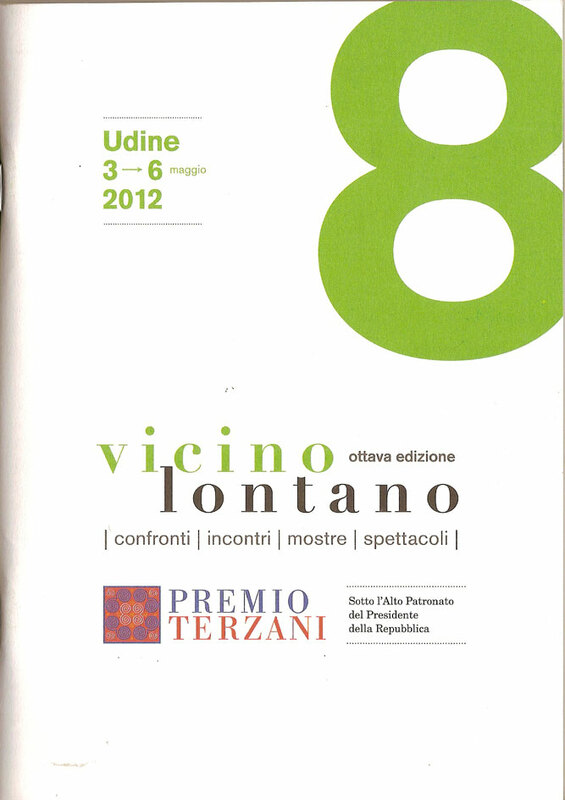 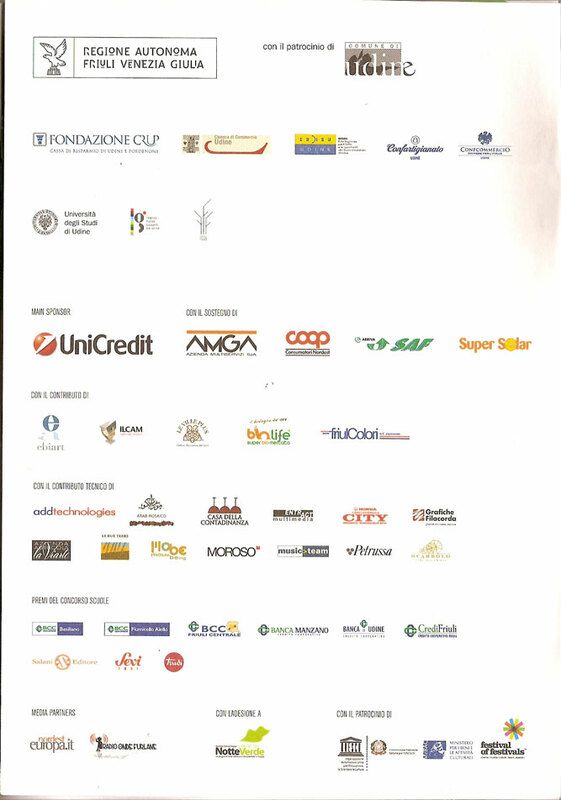 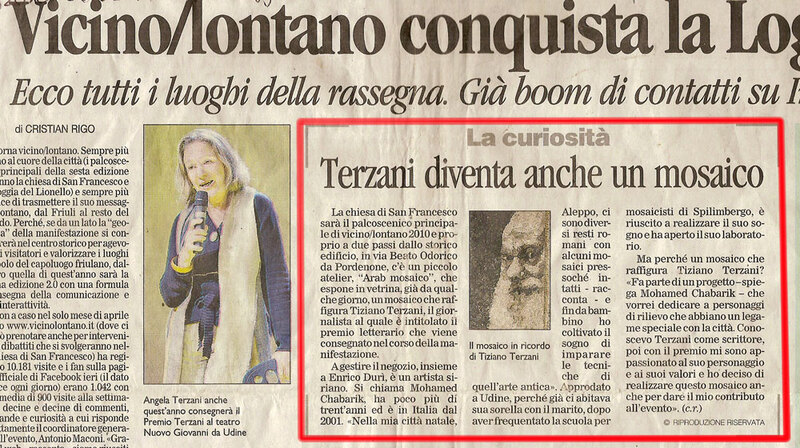 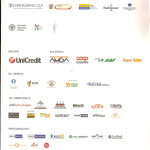 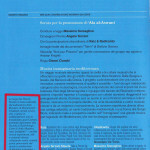 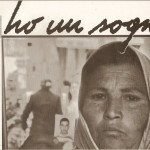 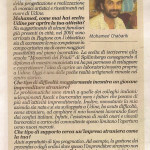 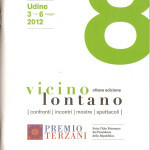 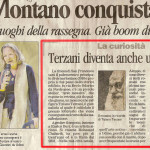 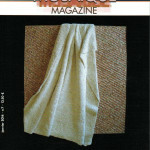 8th edition of Vicinolontano cultural festival (Udine 3-6.05.2012): realization of the plates for Terzani prize (about literature and journalism). 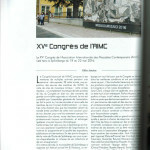 The collaboration still goes on (appearance in the programs of following editions). 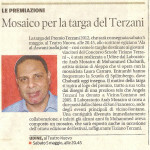 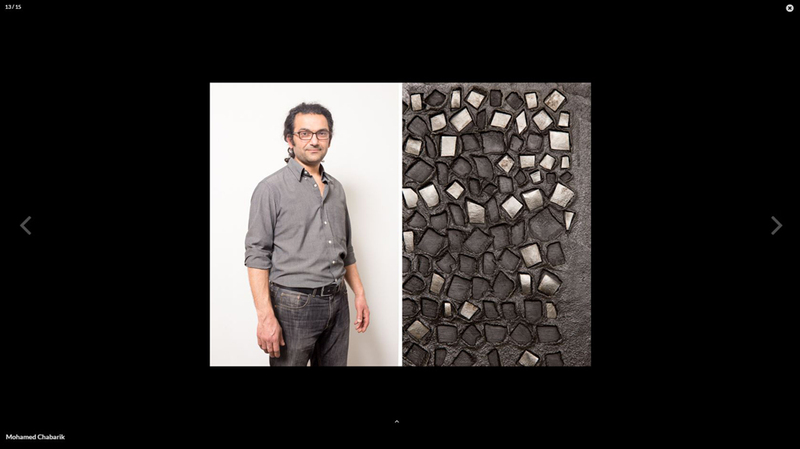 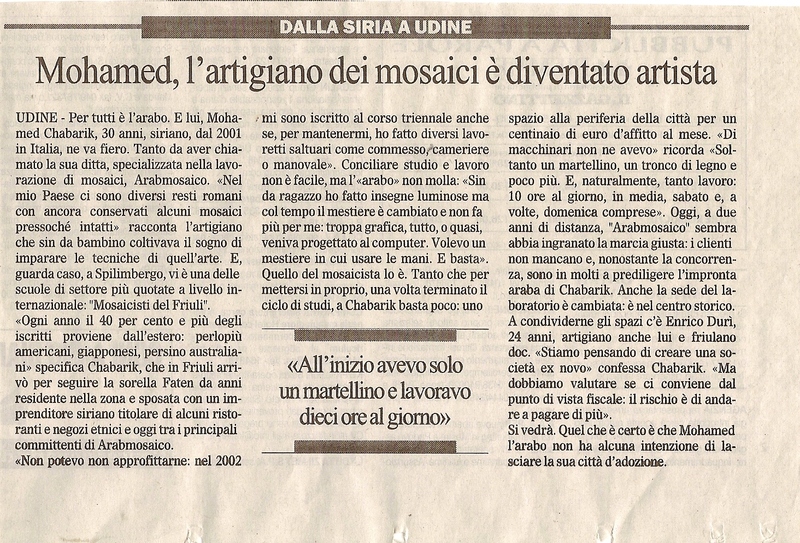 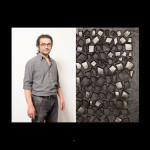 About the Terzani prize plates made with mosaic by Arab Mosaico. 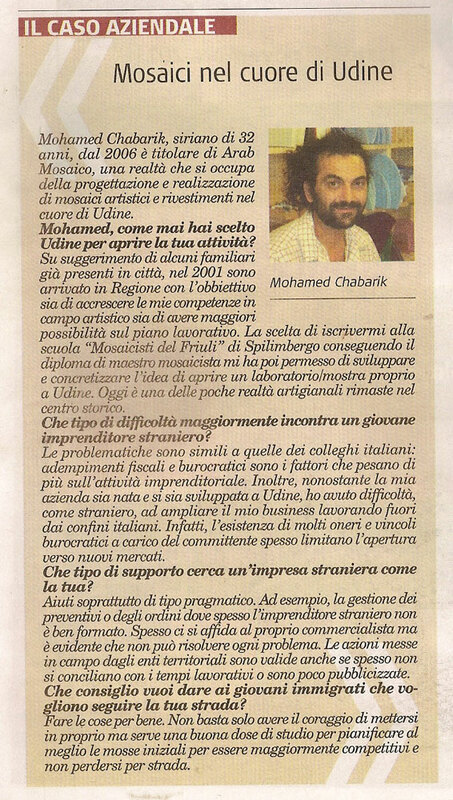 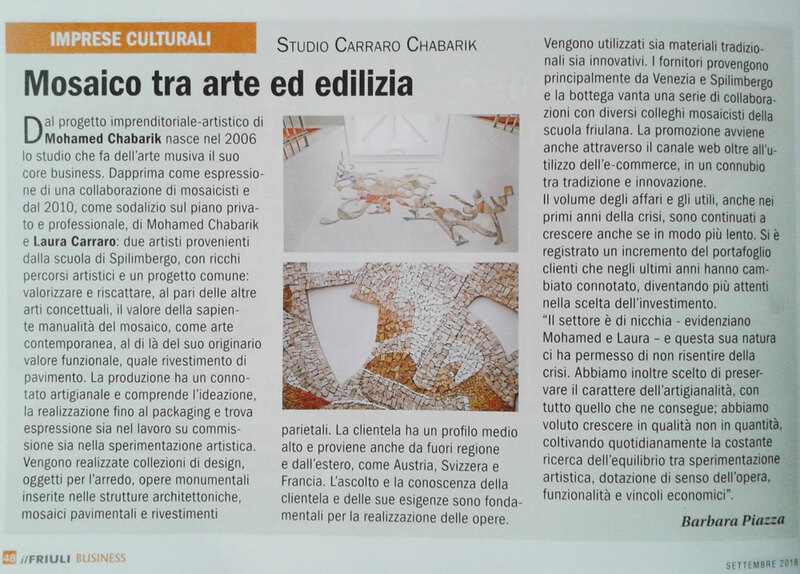 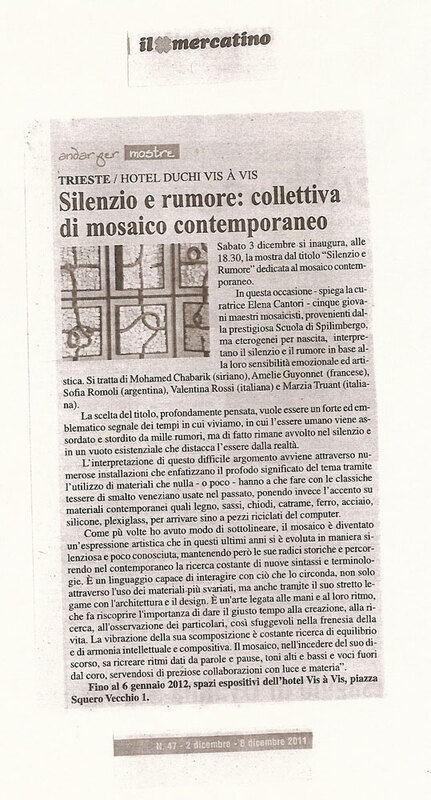 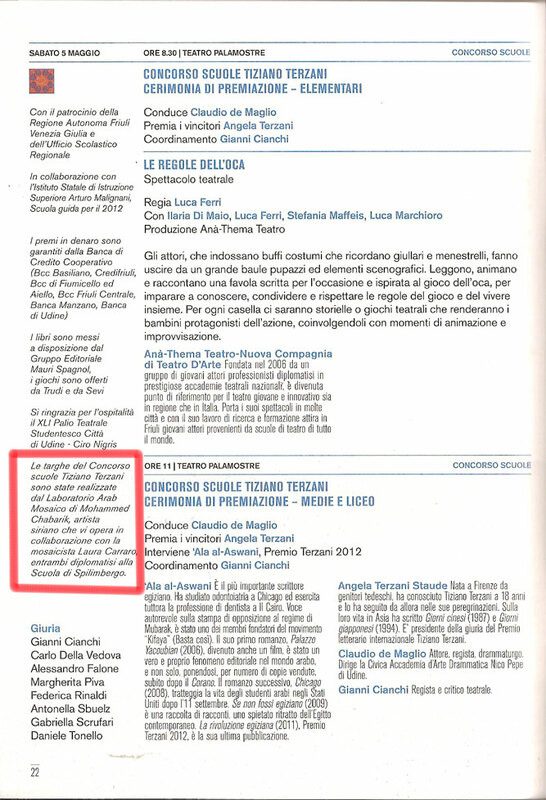 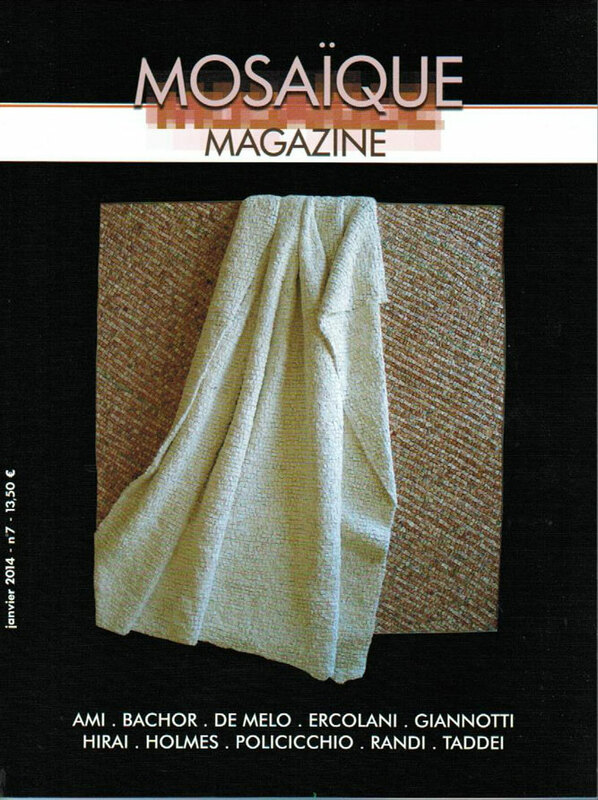 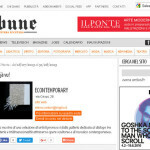 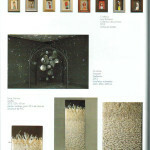 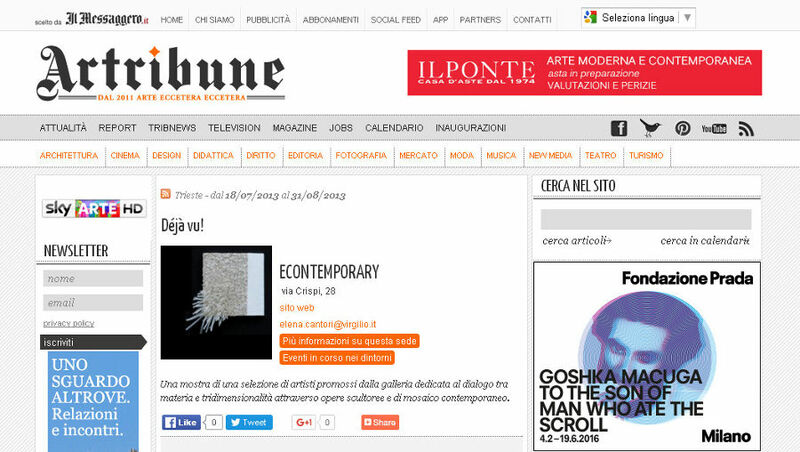 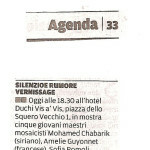 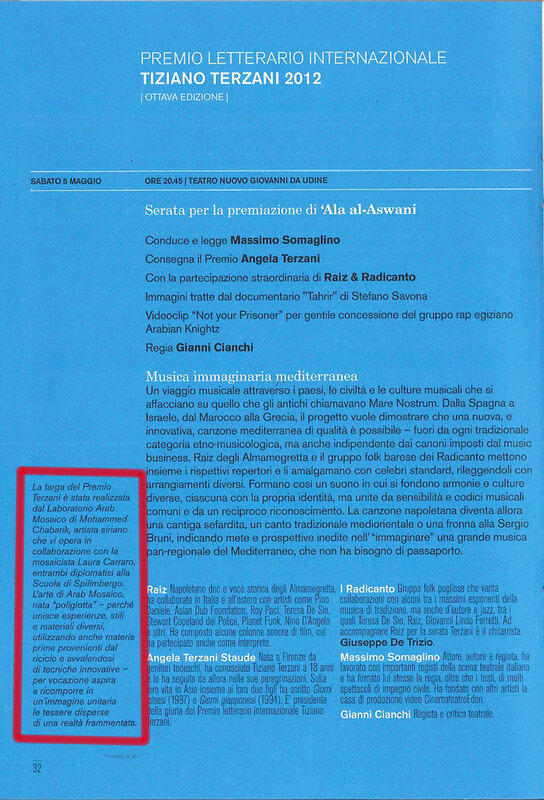 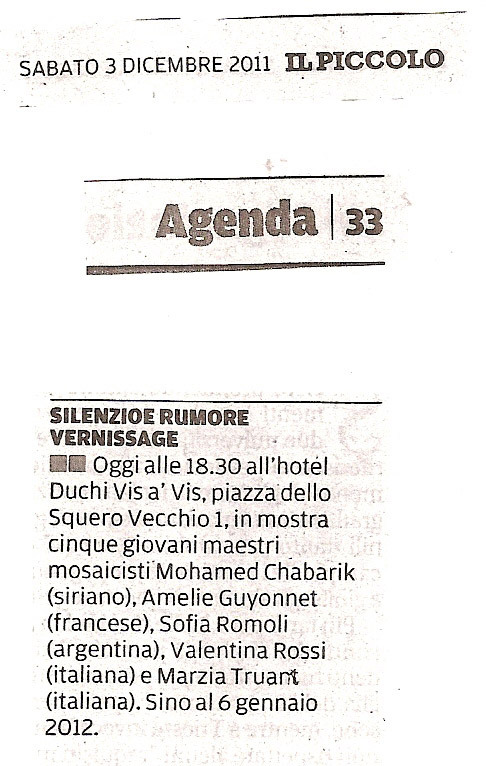 Extract from press review of the Silenzio e Rumore (“Silence and noise”), exhibition at Hotel Duchi Vis à Vis – Trieste, curator Elena Cantori; Mohamed Chabarik participated. 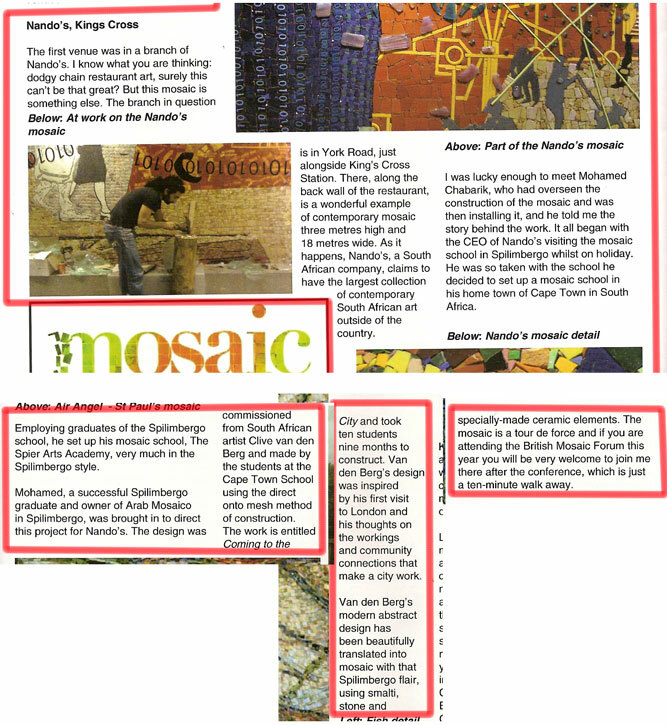 Mohamed Chabarik at London – Nando’s, Kings Cross- for the setting of “Coming to the city”, monumental mosaic realized by Spier Architectural Arts (South Africa). 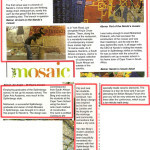 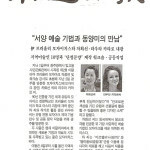 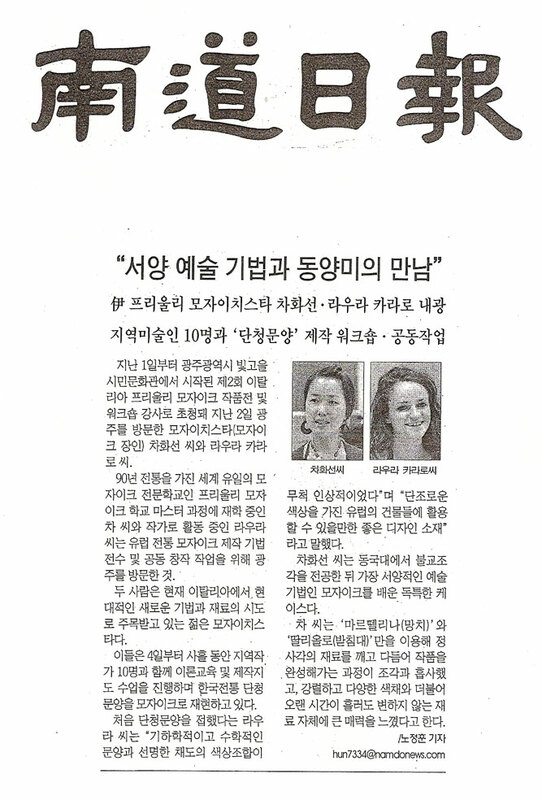 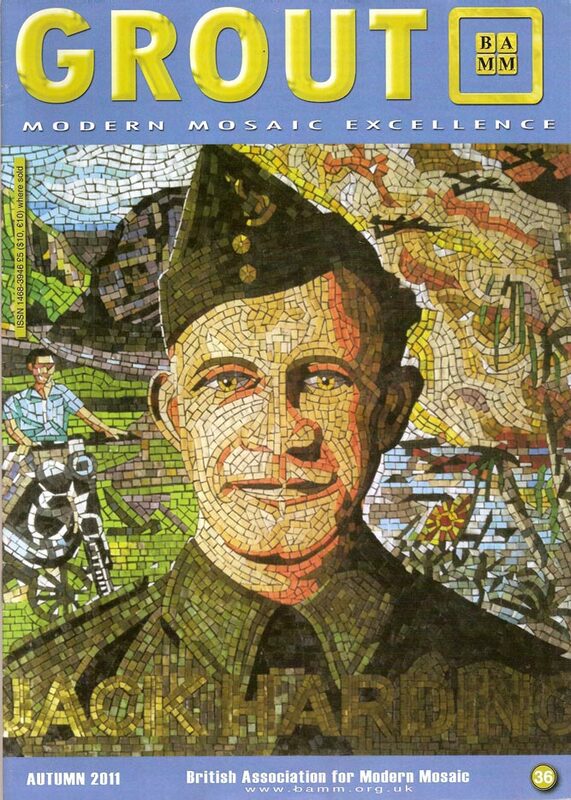 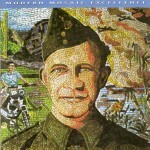 Insight about the commemorative mosaic. 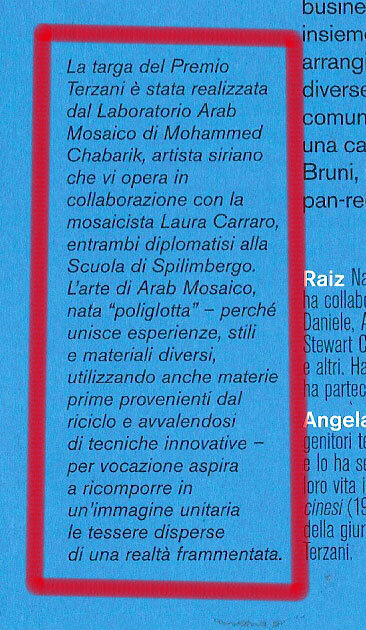 Laura Carraro was teaching there. 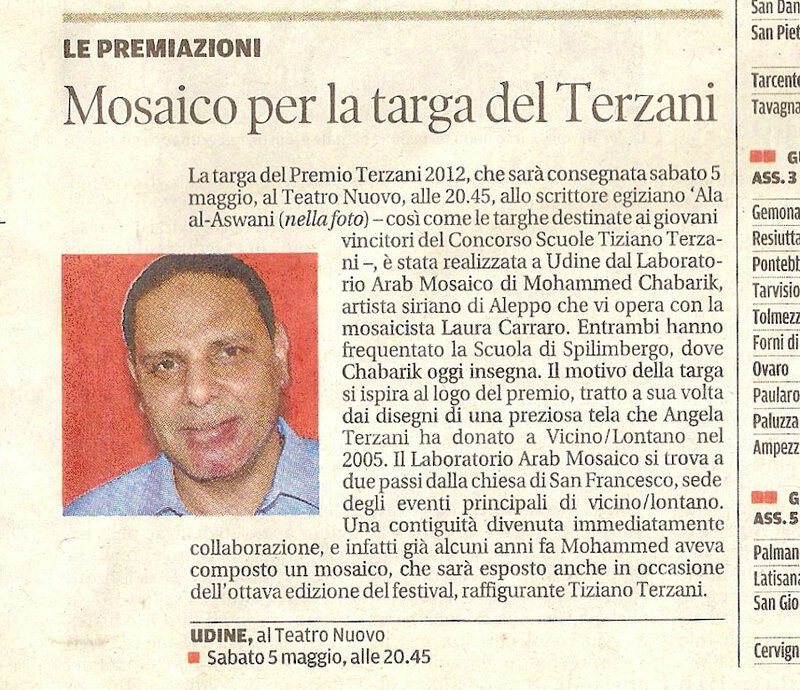 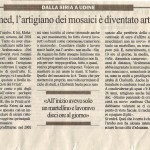 About a mosaic made by Mohamed Chabarik, portraying the writer and journalist Tiziano Terzani, exhibited during Vicino/Lontano cultural festival.